A crazy mutant tentacle is on the loose, plotting to take over the world. How you ask? That's not important right now! We need to be thinking about the how, just how are we going to fix this? Super simply, by going back to yesterday! A crazy mutant tentacle is on the loose, plotting to take over the world. How you ask? That's not important right now! We need to be thinking about the how, just how are we going to fix this? Super simply, by going back to yesterday! I thought I'd bring it to your attention that Day of the Tentacle Remastered is the new free loot for Twitch Prime users. I loved Maniac Mansion on the NES, but I haven't checked out DotT. It's available until 8/9/17. https://www.gamespot.com/articles/next-free-amazontwitch-prime-game-now-available/1100-6452272/ I thought I'd bring it to your attention that Day of the Tentacle Remastered is the new free loot for Twitch Prime users. I loved Maniac Mansion on the NES, but I haven't checked out DotT. It's available until 8/9/17. This is incredible for people that haven't experience this classic. 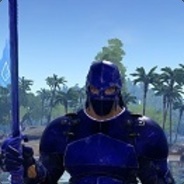 I have it on Steam and Humble but I just got it on Twitch. Now I will never be away from Purple Tentacle! Greg, you really need to play DoTT it's really fun. I will. I got it installed last night. This is probably the most significant loot I've seen. I was looking at this when they released the remastered version, but I didn't buy it. I even had a coupon. So, I'm really glad I was able to pick it up for free. I finished playing it. I played for a bit on my own, but then looked up help online. It was still cool and entertaining. I remember watching videos about the development of the remastered edition. I hadn't seen the original in a very long time, so I don't recall the video quality. However, the remastered edition definitely shines and I think it looks great. > I finished playing it. Cool! About how long did it take to complete it? Sometimes I wonder if these games make more sense as a movie or cartoon short. They are fun experiences but really do feel like a directed movie now. Have you played Broken Age? That's the new Double Fine Adventure game that came out a couple years back. That's the way I felt when playing, more like I was participating in a cool interactive cartoon. No, I haven't played Broken Age. I recognize the name, but pretty much know nothing else about it. If you are a fan of old Tim Schaffer & LucasArts adventure games and want to try your hand at some newer Double Fine & iam8bit games you absolutely must look into the Day of the Devs Bundle. Containing such hits as Lumino City, Broken Age, Titan Souls, Massive Chalice, Oxenfree, Grim Fandango Remastered & Day of the Tentacle Remastered. I am picking this up because i've been waiting on picking up Day of the Tentacle and now seems like a good time to do it. All of the games have Steam keys and are available DRM free and all but two are available for Windows, Mac and Linux. https://www.humblebundle.com/day-of-the-devs-2016 If you are a fan of old Tim Schaffer & LucasArts adventure games and want to try your hand at some newer Double Fine & iam8bit games you absolutely must look into the Day of the Devs Bundle. Containing such hits as Lumino City, Broken Age, Titan Souls, Massive Chalice, Oxenfree, Grim Fandango Remastered & Day of the Tentacle Remastered. I am picking this up because i've been waiting on picking up Day of the Tentacle and now seems like a good time to do it. Just picked this up. It also comes with three scores such as Broken Age, Grim Fandango & Massive Chalice. I was just coming to post this! I'm probably going to snag this one. Some titles here I've wanted, and you can't beat the prices. $9 for all of it? Incredible. Watch Dave Grossman And Tim Schafer play "Day of the Tentacle"
Recently Double Fine released Day of the Tentacle special Edition that spruces up this classic game to be played on modern systems. If you are interested in reliving the fun of the old game through the original creators playing it, you are now in luck as you can watch Grossman and Schafer play through the whole game from memory in a bit over 3 hours. You're Welcome! Recently Double Fine released Day of the Tentacle special Edition that spruces up this classic game to be played on modern systems. If you are interested in reliving the fun of the old game through the original creators playing it, you are now in luck as you can watch Grossman and Schafer play through the whole game from memory in a bit over 3 hours. Day of the Tentacle Remastered is out today on Steam, GOG and Playstation. Day of the Tentacle was a game my friends and I played quite a bit of and traded secrets about how to complete. One of my friends actually beat it back in the 90's but I always found these adventure games to contain some part I could never figure out. A couple years ago I found an original CD copy of the game and played a bit of it using a SCUMM VM emulator but now with the remastered version, you don't need to do that. Double Fine released a great behind the scenes documentary about the Day of the Tentacle remastered process and how they wen't about updating the game for modern systems. Day of the Tentacle Remastered is out today on Steam, GOG and Playstation. 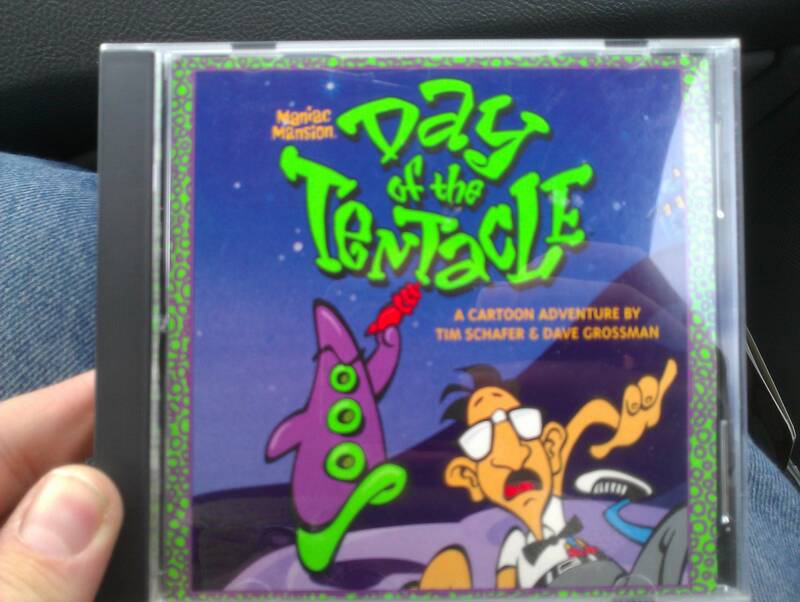 Day of the Tentacle was a game my friends and I played quite a bit of and traded secrets about how to complete. One of my friends actually beat it back in the 90's but I always found these adventure games to contain some part I could never figure out. A couple years ago I found an original CD copy of the game and played a bit of it using a SCUMM VM emulator but now with the remastered version, you don't need to do that. Double Fine released a great behind the scenes documentary about the Day of the Tentacle remastered process and how they wen't about updating the game for modern systems. That was super cool to see. I've actually never really played Day of The Tentacle, but I loved Maniac Mansion as a kid. Like Adam, I also loved Maniac Mansion. I knew of Day of the Tentacle, I think I tried it once. Thanks for posting an announcement (and included video) about this! Day of the Tentacle originally wrapped it's way around gaming in 1993 and is being remastered by Double Fine for launch on March 22nd. You might think that since this is an older game that you can get away with running it on your old 486 computer but that is not so! Not only can you pre-order Day of the Tentacle right now on GOG but Double Fine has also released the system specs to disappoint everyone that has their old DOS PC's from high school. Kind of surprised it requires so much memory but you know, modern tentacles really do need to address a lot of RAM. Graphics:... Read All Day of the Tentacle originally wrapped it's way around gaming in 1993 and is being remastered by Double Fine for launch on March 22nd. You might think that since this is an older game that you can get away with running it on your old 486 computer but that is not so! Not only can you pre-order Day of the Tentacle right now on GOG but Double Fine has also released the system specs to disappoint everyone that has their old DOS PC's from high school. Whoa, I'm not sure my system can handle that. No Windows ME support? Count ME out! Day of The Tentacle was one game in a batch of 90's adventure games I have fond memories for. It contained such a unique sense of humor and figuring out each puzzle felt like you were some kind of genius because most of them were so bizarre. On the heels of Grim Fandango Remastered, Double Fine has been spending time polishing up Day of the Tentacle for the same kind of HD treatment and will drop the game on March 2016 on PC, Mac, Vita and PS4. Oh and Tim Schafer also noted that they will be relaunching Full Throttle Remastered in 2016 as well. So many remastered games, so little time. "Now, over twenty years later, Day of the Tentacle is back in a remastered edition... Read All Day of The Tentacle was one game in a batch of 90's adventure games I have fond memories for. It contained such a unique sense of humor and figuring out each puzzle felt like you were some kind of genius because most of them were so bizarre. On the heels of Grim Fandango Remastered, Double Fine has been spending time polishing up Day of the Tentacle for the same kind of HD treatment and will drop the game on March 2016 on PC, Mac, Vita and PS4. 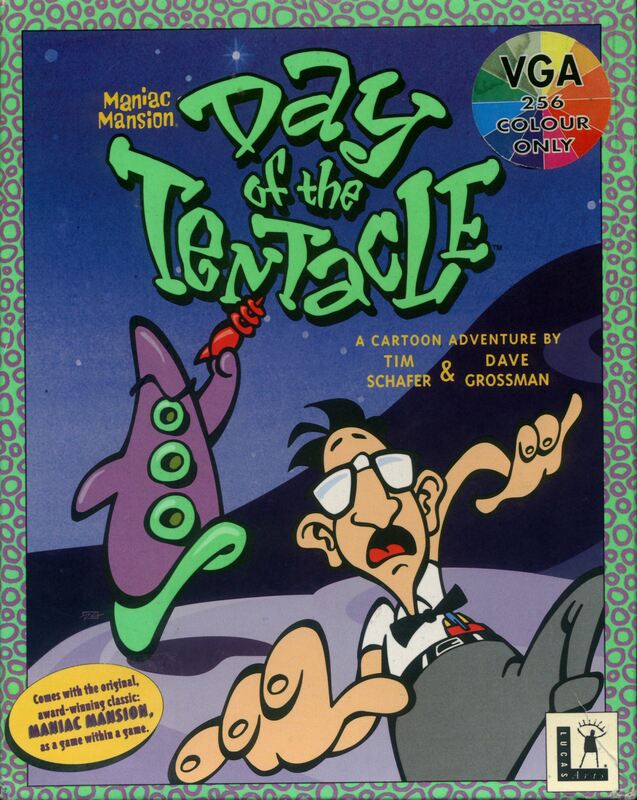 Day of the Tentacle was Tim Schafer’s first game as co-project lead, and a much beloved cult classic! This special edition has been lovingly restored and remade with the care and attention that can only come from involving the game's original creators. 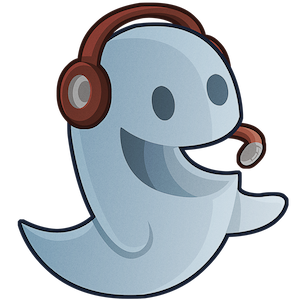 It’s coming to Windows, OSX, PlayStation 4 and PlayStation Vita early next year!" That's cool. I believe Day of the Tentacle is supposed to be a bit of a sequel to Maniac Mansion, which was one of my favorite games on the NES. I played DotT maybe once. Perhaps I'll pick it up when it the remastered version gets released so I can play it again. I still have the 3.5 inch floppies! Nice! I had DOTT on CD and it was one of the games that used the sound blaster for full voice audio! @jdodson, now that you mention it, I think it is CD. "Tim sits down for the first time in 10 years to play "Day of the Tentacle"! In this first installment we explore some of Bernard's storyline and clear away the cobwebs of time from Tim's memory. " Double Fine is releasing a few videos that have since been special backers only rewards. I just watched the latest video of Tim Schafer playing Day of the Tentacle. Hearing him talk about the games development as he plays it is really great as Day of the Tentacle has always had a special place in my "video game soul." Thy plan on releasing more videos of Tim Schafer playing Lucas Arts classics and will conclude the Day of the Tentacle play with a part 2. What memories do you... Read All "Tim sits down for the first time in 10 years to play "Day of the Tentacle"! In this first installment we explore some of Bernard's storyline and clear away the cobwebs of time from Tim's memory. " What memories do you have of the early Lucas Arts classics? Did you ever play Day of the Tentacle? Day of the Tentacle remake was 80% done. Huh, you know and here I was having such a good day too. That said, DOTT was one of the first really engrossing adventure games I played. The graphics, story and audio.. So great. Very happy ScummVM exists so we can still experience it. Future Kickstart project, perhaps? I am sure there's a strong ROI on a DOTT upgrade. Considering the success of so many HD "upgrades," why not this one? As a video game nerd over 30, I'm kind of ashamed that I've never played this. It would be like being a drama geek and never having read hamlet. As a video game nerd over 30, I'm kind of ashamed that I've never played this. It would be like being a drama geek and never having read hamlet.